L Art - Oil on canvas, signed Lambert, contemporary French artist. 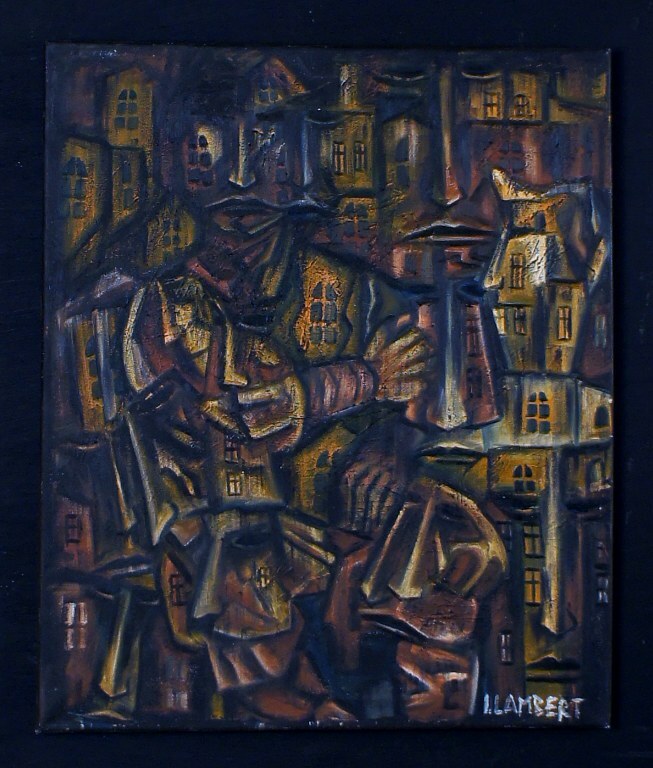 Oil on canvas, signed Lambert, contemporary French artist. Abstract, person with houses in the background. In perfect condition. Measures: 49 x 59 cm.